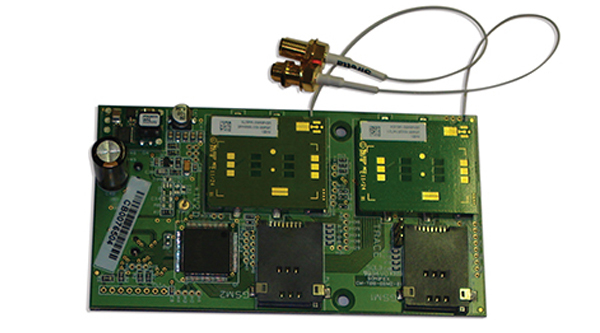 CM-TBG Add-in Card For CM-TB8 With 2 x GSM Line. The CM-TB8G is the CM-TB8, 8 Channel Talkback Control Unit, with the CM-TBG add-in card fitted. The CM-TBG is a dual GSM telephone expansion card. It extends the talkback capability of the CM-TB8 by allowing mobile telephone calls to be made and received via two independent quad band mobile telephone modules. The GSM modules are configured via the CM-TB8 embedded web server. This provides access to features including network selection, telephone number storage and phone logs. Each module has its own internal SIM card slot and separate antenna connection which is mounted on the rear panel of the CM-TB8. Telephone calls are made and received directly on the CM-TB8 using the channel controls. Each channel can access its own independent phone book and can speed dial the required telephone number. IFB modes are fully supported on the telephone channels allowing selected input signals to be routed to a connected telephone call. CM-TBG: Add-in card for CM-TB8 with 2 x GSM line. CM-TB8G : CM-TB8 including CM-TBG.